The Ravensbrück concentration camp was the largest concentration camp for women during the Holocaust. It was also largely forgotten about after World War II. Expertly curated primary source materials provide researchers with insights they won’t find anywhere else. Combining powerful video testimonies from survivors with historical newspaper accounts imbues the broad context of journalism with personal experience that puts the researcher in the shoes of those who were there. For women like Judith Becker, Ravensbrück was a hellish night before being transported to another location. In her testimony with the Visual History Archive, she recalled a warehouse-type space, so densely congested with women’s bodies there wasn’t enough room for all of them to stand. Becker and others had to take turns holding one another up over the crowd. People suffocated. There wasn’t enough air to breathe, let alone anything to eat or drink. Other women, like Olga Astor, recalled the long march from the train to Ravensbrück, a hellish long-term destination peopled by living skeletons. In her testimony, she said “I thought to myself, ‘I’ll never look like that.’” Here, starting at 2 or 3am each day, she awoke on a narrow straw-stuffed mattress shared with two other women, and went outside the barracks to be counted. The women – 86,000 in all, according to Astor’s memory, were counted twice each day, and when the number was off, the count started all over again. In the mornings, the women needed to bring out the bodies of those who died in the night, to make sure they were counted too. 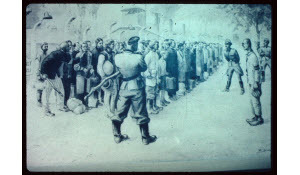 Astor recalled that for all of the prisoners “selected” each week – put to death for being too sick, weak or emaciated to work – just as many new prisoners arrived at the camp. She remembered a group of women who had come from Auschwitz being terrified by the conditions at Ravensbrück that despite their hunger they “didn’t want to eat the slop” inmates were fed. The prisoners received so little food, Astor continued to have nightmares decades after leaving the camp: a piece of bread was placed on her chest, but her arms, in the dream, had been amputated so she wasn’t able to bring the bread to her mouth. In the barracks, Astor said her group was isolated, with no idea of what was going on in other areas of the camp. Neither did the rest of the world. In the summer of 1942, Nazi doctors began conducting non-consensual medical experiments on 86 inmates, the majority of them Polish political prisoners. These women were called lapins, or rabbits, by their tormentors. 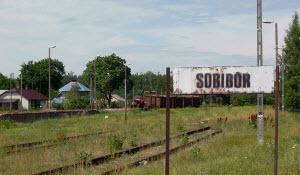 Out of the 74 Polish victims, five died as a result of these experiments; four were executed with wounds that wouldn’t heal from the experiments. The rest, with assistance from other inmates, survived with permanent physical damage. Four survivors testified against Nazi doctors at the Doctors’ Trial in 1946. The women witnesses are Allied, Austrian and German women who were among the 150,000 women who passed through the hell of Ravensbrück in the war years. Officially described as “probably the largest women’s prison in history,” Ravensbrück was the scene of mass gassing – authorities believe 5000 women died in gas chambers – fiendish medical experiments on female prisoners and many unspeakable tortures. When two of the victims took the stand and exposed their disfigured legs for the court on December 20, 1946, the paper reported horrific details from the women’s testimonies. The grueling trial finally concluded in August, 1947. Of the 23 defendants, seven were acquitted and seven received death sentences; the remainder received prison sentences ranging from 10 years to life imprisonment. Herta Oberheuser was handed a sentence of 20 years in prison. After serving 5 years, she was released for good behavior. Helm, Sarah, Martin Richter, Annabel Zettel, and Michael Sailer. Ohne Haar und ohne Namen, edited by Sarah Helm, et al., Konrad Theiss Verlag GmbH, 2016. ProQuest Ebook Central, https://ebookcentral.proquest.com/lib/demo-myproquest/detail.action?docID=4389522. Lanckoronska, Karolina. Michelangelo in Ravensbrück, edited by Karolina Lanckoronska, Da Capo Press, 2008. ProQuest Ebook Central, https://ebookcentral.proquest.com/lib/demo-myproquest/detail.action?docID=679928. Saidel, Rochelle G.. Jewish Women of Ravensbrück Concentration Camp, edited by Rochelle G. Saidel, University of Wisconsin Press, 2006. ProQuest Ebook Central, https://ebookcentral.proquest.com/lib/demo-myproquest/detail.action?docID=3445463. 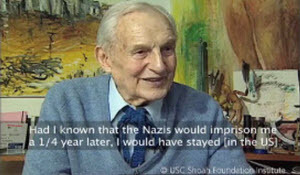 Survivors and witnesses of the Holocaust and other genocides have shared their stories and experiences in a collection of 54,000 two-hour audio-visual interviews with USC Shoah Foundation Institute for Visual History. ProQuest is honored to be in partnership with USC Visual History Archive to offer this material in its entirety to a broader audience and to contribute archival-quality transcripts of all of the testimonies. Watch the videos and learn more. With more than 45 premier historical titles, ProQuest Historical Newspapers is the definitive newspaper digital archive empowering researchers to digitally travel back through centuries to become eyewitnesses to history. Helm, Sarah, Martin Richter, Annabel Zettel, and Michael Sailer. Ohne Haar und ohne Namen, edited by Sarah Helm, et al., Konrad Theiss Verlag GmbH, 2016. ProQuest Ebook Central. Lanckoronska, Karolina. Michelangelo in Ravensbrück, edited by Karolina Lanckoronska, Da Capo Press, 2008. ProQuest Ebook Central. Saidel, Rochelle G.. Jewish Women of Ravensbrück Concentration Camp, edited by Rochelle G. Saidel, University of Wisconsin Press, 2006. ProQuest Ebook Central.